When it comes to taking care of your garden, the task should be enjoyable. You should feel free to take your time but not have to work so hard and long that you begin to resent the process. That’s where power tools can come in handy (pun intended), though the cost of some products can be prohibitive. It’s important to find quality garden power tools at a low price that won’t break the bank. How can you do that? How large is your garden, and what type of plants do you have? If you have an extensive garden with lots of heavily wooded plants, you may need more power from your garden tools than you would if it was all floral or a small herb garden in question. Determining how much power you require can help you save money by pointing you toward a quality power tool that is a lower price due to lower power. For example, when looking at chainsaws, trimming a few small woody bushes may only require a small, low weight cordless electric chainsaw, whereas trimming an orchard would need something much sturdier, such as a gas powered machine with a longer, tougher blade. If you can save because you don’t need as much power, it can allow you to purchase something of higher quality. 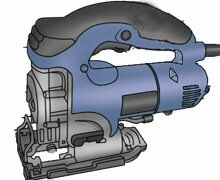 With all power tools, there are brands that are more reputable than others, simply because they’ve been in the industry longer or specialize in that particular sort of product. For example, with lawnmowers, you’ve probably heard of brands like Honda, Craftsman, and Greenbuilt a lot. That’s because they are highly reputable and known for quality in the industry. 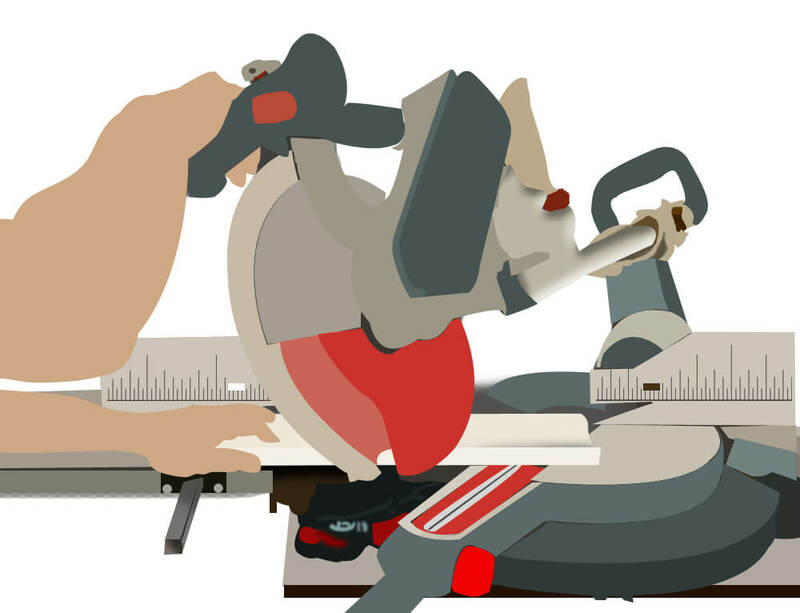 However, research can help you determine for each individual power tool you may want which brands are going to offer the most expertise and quality. From there, you can determine which one offers you more “bang for your buck” and allows you to save. It’s smart not to go into any purchase without knowing the budget you have to spend. Otherwise, you could end up breaking the bank simply because you haven’t set a limit on yourself. While garden power tools essentially aren’t incredibly expensive, as long as you have in mind your overall needs and don’t get the “more power” disease that happens in lawn and garden stores, you’ll be able to get what you need at a good price. At the same time, setting a limit is essential to remember that you should focus on quality at a specific price. The internet is a fantastic resource for information, especially when it comes to reviews and legitimate experience with various tools, and gardeners are some of the first to pass along information about their successes and failures with power tools. It’s important to not just purchase the first tool you find that seems like a strong candidate at the right price. Find reviews on the product, seek out information from other buyers, and compare the product to the competition, especially with review ratings. Two products with the same specs and price may evoke very different opinions from other consumers. This can help you narrow down options to make an informed decision you won’t regret later, and you could also save a few bucks, especially if you look for the product you chose through different sellers for the best price. It stands to reason that some tasks in your garden are better accomplished by hand. Therefore, you don’t need a power tool that does everything, or a power tool for each task. Pinpoint the tasks that are most difficult for you, that takes the longest, or that frustrate you. These are going to result in the need for power tools to speed up or ease the processes. 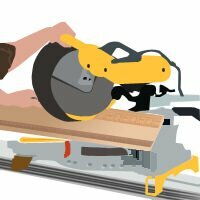 That way, you’re saving money on power tools you don’t need so you can spend a little more on quality products among the ones that are essential to your needs. Finding quality garden power tools at reasonable prices so that you aren’t emptying your wallet just requires a little extra time and effort. Patience is crucial so that you can shop around and compare, and careful reasoning to combat that desire for the “biggest and best” can help you reign in the need to spend a fortune on something that is more powerful than you need for your application. The research will help you save money by taking you to different sellers with varying prices, as well as to compare products so you get the most for what you do spend. And having a budget essentially helps limit you so that you don’t go overboard in the process of trying to meet your needs. Take the time to make clear, firm decisions, and you’ll have an easier time coming across the right power tool for your needs! Winter often creeps up on us and finds us working in our garage one weekend, and huddling indoors the next. There is nothing wrong with getting in your last bit of work done before winter truly sets in. We often forget to plan for essential tool storage when we are working right until our last bit of sunshine and warmth is gone for the season. Making sure you clean and store your tools is essential. You have to prepare an environment in which they can be used properly to keep them working in good shape for years to come. Taking an afternoon to do this will help pay off in the long run. Chances are your tools are stored where they are easily accessible. You’d want a large-enough space where you can easily obtain, use and store your items. Many people prefer working outdoors, in a garage or shop. As the temperature drops, this can become quite uncomfortable. Not only is it uncomfortable for you, but it also can be tough on your tools, leaving you one of two options: to either store your tools until warmer days, or provide some sort of heating. 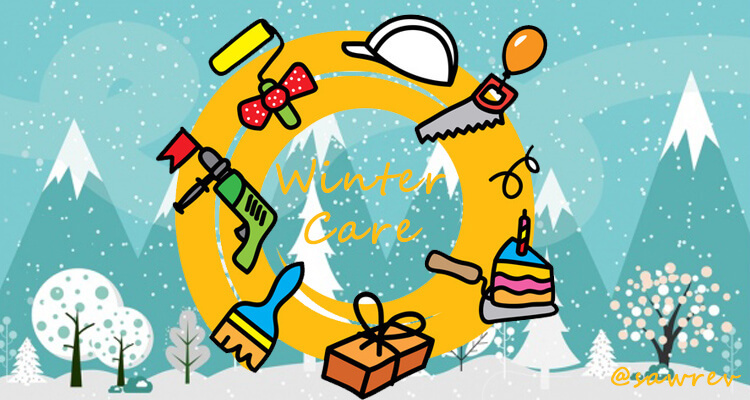 If bringing your tools indoors for winter storage is not an option, then you will need to provide some sort of protection, and general maintenance before walking away. This is especially true for areas that get a deep, lingering freeze. If you want to have access to your tools through the winter, then you need to plan on the options that both allow you to work comfortably, and efficiently to avoid damage to your investment. If you regularly work within your garage or shed through the winter, then you need to do more than just bundle up. In fact, layering clothes and wearing gloves can be a hindrance to certain movements- and may cause safety issues depending on the type of tool you are working with. Because of this, you want to address the actual climate within your workspace itself; using a heater of some type can be very beneficial to warming a space quickly and efficiently. This does more than making a comfortable atmosphere for you. It also allows your tools to warm and work as they are meant to without any adverse reactions to the cold. For some excellent reviews of garage heater choices, click here. Regular maintenance of your tools is a practice you should regularly attend to. This helps keep everything running as it should, and makes storage, lack of use, and use in a cold environment less stressful on the moving parts. But when it gets towards the freezing mark, simple maintenance may not be enough. A couple of things can happen when working at or below freezing. Sometimes these are noticeable, and sometimes not, but all should be considered. The following observations are often related to one another, as one situation may cause the other to occur. Bringing the ambient temperature of your workspace up prior to working can be very helpful in keeping your tools running smoothly and properly. Always pay attention to any condensation and use proper rust prevention methods. If you do not use your tools often through the winter months and find that storing them is a better option, then you need to prepare your tools for proper winter storage. This is not a difficult task but should be completed to keep your tool dry and ready to use once you need it again. And remember, if you do decide to use your tools, do so after allowing it to warm up to the temperature of the room and be sure to clean it thoroughly after use. When the cold weather blows in, you want to make sure your tools properly stored or maintained. Simple maintenance and storage solutions do not take long at all to complete. This will also allow you peace of mind when you retrieve your tools once the weather warms up. If using your tools is common through the winter, then simply consider bringing your tool up to ambient temperature prior to use, and work in a warmed environment if possible. 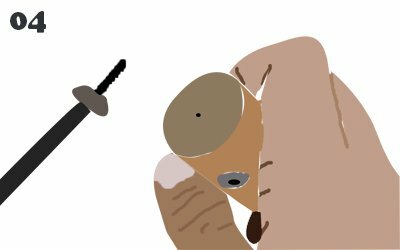 If your knife becomes dull it won't hurt you cause you can regain the sharpness in a minute. on the contrary, if it is your chainsaw it will hurt you most. Because you can't recover its sharpness easily if you don't have some knowledge of it. Let's check the details on how to sharpen a chainsaw. The ability of a chainsaw to cut correctly will be affected if the chain is poorly sharpened or dull. Other than reduced cutting performance, a chain that is not sharpened properly can damage the bar, the engine, and the sprocket as well as increase the risk of kickback. Chainsaws do not need to be sharpened by an expert but practice and knowledge is necessary. 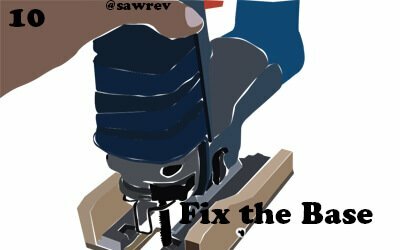 Herein is a comprehensive guide on how to sharpen a chainsaw. 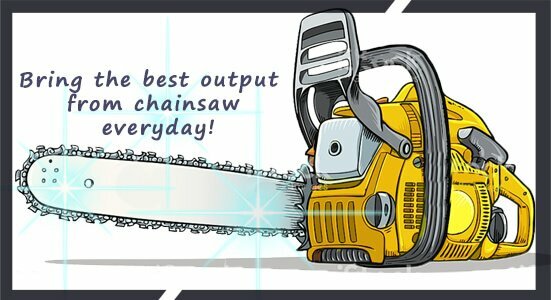 If you'r going to buy a new chainsaw, you can look over our recent research on best chainsaw. As a general guideline, a chainsaw should be sharpened every time it is fueled and any time the chain strikes the ground or a hard object. 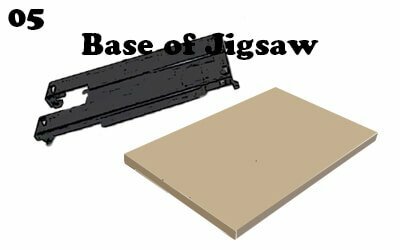 You should also sharpen it when you observe that it is making fine sawdust instead of chips as you would expect with a reciprocating saw blade, miter saw blade or jig saw. Cutting in a curve is also an indicator of a dull. Appropriate size chainsaw round files. Filing guide sized for the chain. You might also like our enlisted top chainsaw chain sharpener. 1. Inspect the cutting teeth to determine if there are teeth shorter than other. You should always start with the shortest tooth. The shortest tooth will determine the length of the rest of the teeth. 2. Secure the chainsaw to prevent movement while sharpening. You can do this with a pinch vise or other securing device. 3. Before you begin sharpening, set the chain brake. Release the brake and advance the chain until you return to the starting point. 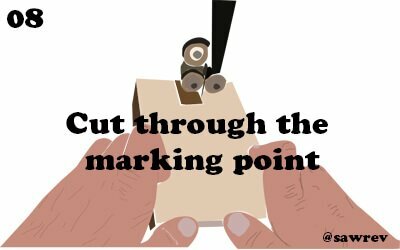 Mark the starting point in order to avoid resharpening. 4. 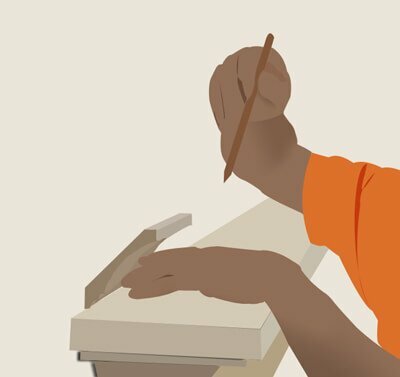 Place the file in the chisel such that about 20 % of the file is above the tooth. It is advisable to use a file guide to maintain proper angle and depth. 5. 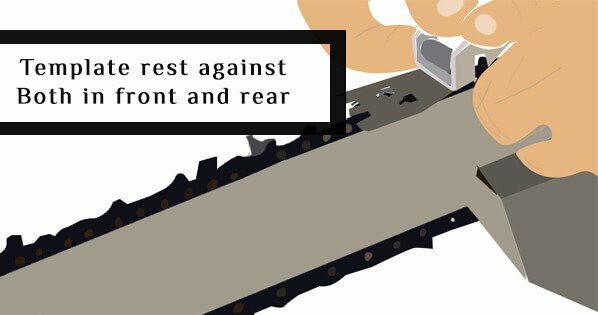 Position the file such that it is at the proper top plate angle as outlined by the chain manufacturer. The best chainsaw manufacturers mark the top of the tooth as a guide for an appropriate top plate angle. 6. 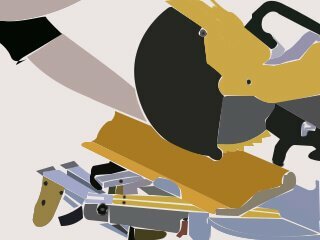 Position the file such that it is at the proper horizontal angle. 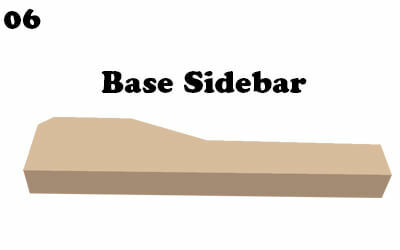 This angle can vary from chain to chain but is often 10 degrees off horizontal from the bar or 90 degrees from the bar. The manufacturer's manual contains the proper horizontal angle of the file. 7. The filing motion should be steady and smooth moving from the inside of the tooth to the outside (towards the point of the saw tooth). 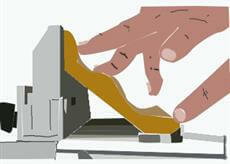 Ensure that you hold the proper horizontal angle and top plate angle of the file during the entire process. Applying heavy pressure as you sharpen is not necessary. Keep contact with the tooth only during the forward stroke and take the file off the tooth as you begin another stroke. 8. Unless you are correcting damage, always file each tooth the same number of times. Clean the file from time to time as files get clogged with filings thus reducing efficiency. A good cutter sharpness is indicated by a fine curl of metal dust on the top edge of the chisel. Oh! you think that your chainsaw is unrecoverable. Okay, let's check the best chainsaw chain. I'm pretty sure much that it might help you to find the prettiest one. 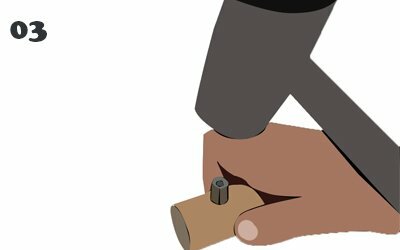 Bob Tacke, an expert affiliated with The Family Handyman offers great advice on the best chainsaw chain sharpening tools and technique. He recommends getting a round file and flat file for sharpening the cutters. He strongly advises against the use of rattail files as its coarse teeth and tapered diameter may damage the cutters. 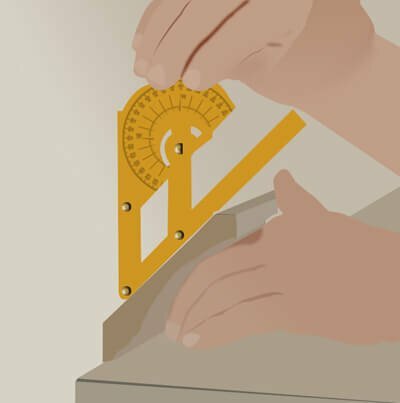 Award-winning woodwork expert and "Canada's Handiest Man" Steve Maxwell emphasizes on the less obvious process of depth gauge adjustment. He also advises beginners to first practice on a new chain that needs it first sharpening as they have the best chainsaw chain to learn depth gauge adjustments. It is worth noting that you can always use motorized chainsaw sharpeners if you find manual sharpening too laborious and ineffective. The current top rated chainsaw sharpener brands include Granberg, Oregon, Timberline, Buffalo tools, and Stihl. The joints crown molding is referred as compound since the cut on every side usually has two angles. These include the bevel angle and the miter angle. 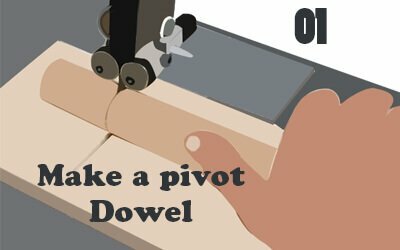 One of the advantages of using a compound miter saw is that you can tilt it to make a bevel angel while rotating the saw will enable you to make a miter cut. This means that you can make the two cut without much of a hassle. 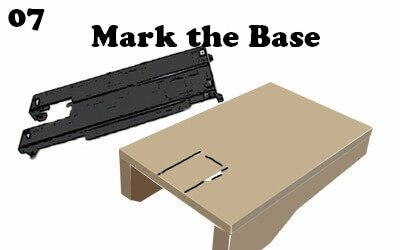 Another advantage of this compound saw is the fact that you can place molding on a flat table, which is crucial when dealing with wider molding. However, when using a compound saw it is important to realize that you and tilt the saw on the left side, but you cannot tilt it on the right-hand side. This means that if you would want to make a 90-degree angle cut, you need to turn around the molding position for you for you to make cuts on that side. 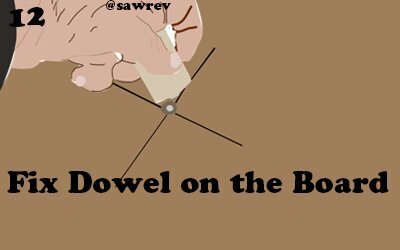 Is this all when to come to cutting a crown molding with a compound miter saw? Absolutely not. 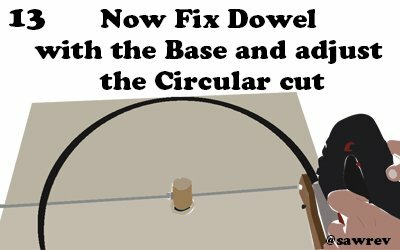 Today we are going to discuss some on how to use a compound miter saw to cut crown molding. The following are the best practices to assist you in cutting crown molding by yourself. This is also referred as the vertical method. One of the best things about using this technique is that it doesn’t require a bevel cut. 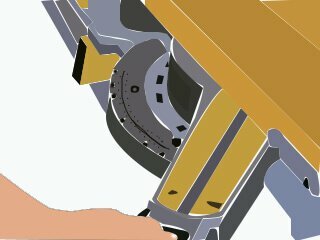 For you to adjust the saw for out of a square corner you are only required to adjust only the miter system. There is no need of adjusting both bevel and miter system provided the crown material is laying flat. 3. The angled flats that are on the back of the molding should always be resting squarely on the base and fence of the saw. 4. 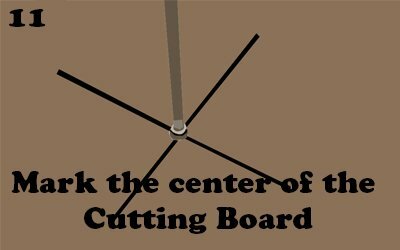 Use the following angles while making cuts inside the corner and outside the corner. This method is also known as the flat method. When setting the miter and bevel angles for compound miter always remember that the angles available for the crown molding are very accurate, making it hard to set them exactly. However, since the angles can shift slightly and most rooms do not have a perfectly square corners, you should start by testing all the settings on scrap molding before making the actual cut. 2. 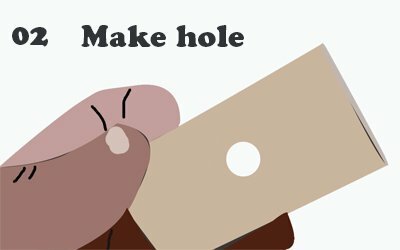 Ensure that you have flipped the cutting material around for you to cut both the ends of the outside and inside corners. the ends of the outside and inside corners. 3. Follow the procedure to cut inside and outside corners. Remember this procedure is to help you to cut an all US standard crown crowding molding. The standard measurements of this molding usually have 38- degrees and 52-degrees angles. This method also assumes that there is a 90 degrees angle between the walls. • Set Miter right at 31.62 degrees. • Save left end of the cut. 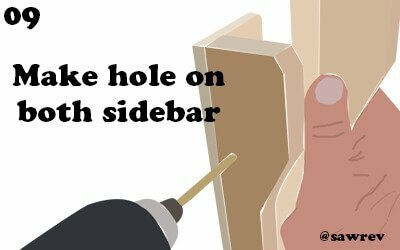 • Ensure that the molding bottom side lay against the fence. • Set the bevel at 33.85 degrees. • Set Miter left at 31.62 degrees. • Save right end of the cut. • Set Miter at 31.62 degrees. There you have it. We hope now that you can cut crown molding on your own. The process is simple provided you will follow all the steps indicated in the above methods.